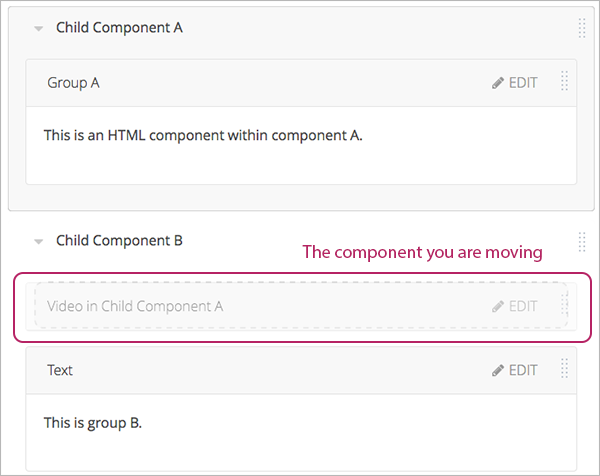 By default, Studio includes four types of components for you to add to your course. To add a component to the unit, under Add New Component select a component type. You cannot duplicate a content experiment. 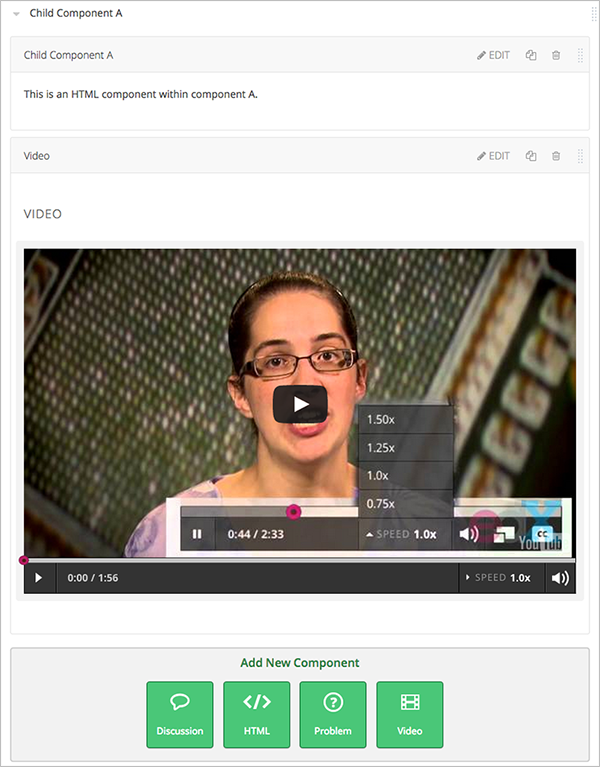 After you delete a component, the component remains visible to learners until you publish the unit. The component that contains other components is referred to as the parent; the contained components are referred to as children. Select the arrow next to a child component name to collapse it and hide the component’s contents. Select the arrow again to expand the component. For learners, all parent and child components appear on the unit page. The following example shows the learner view of the unit described above. You can reorganize child components through the same drag and drop process you use for other objects in your course outline. You hover over the element handle on the right side of the screen until the mouse pointer changes to a four- headed arrow. Then, click and drag the element to the location that you want. Furthermore, when you have multiple levels of nesting, you can drag a child component into a different parent component, if both parents are expanded. 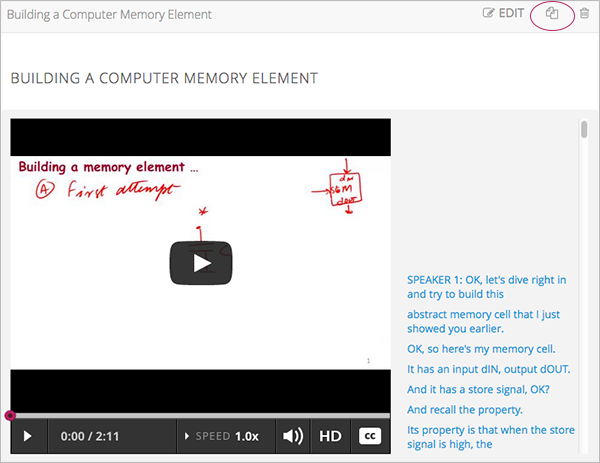 For example, you can select the video component that is in Child Component A and drag it into Child Component B. Select the video component, and as you drag it into Child Component B, release the mouse button when a dashed outline of the component you are moving appears in the new location. For content experiments, you cannot drag a child component outside of a test group.